These are the best smart speakers available with mostly positive reviews. Although these smart speakers have an internal speaker, connecting it to a bigger speaker is the best option. Amazon has many smart speakers these days. This Amazon Tap is the powerful and portable speaker. The Amazon Tap has over 4,500 positive reviews and is so easy to use. 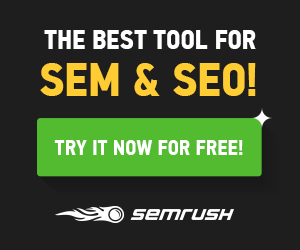 You can ask for music from Amazon, Spotify and others providers. The Alexa Voice Service inside the Tap can do other things such as providing information, reading the news or requesting an Uber. It has more than 9 hours of playback per charge. The Tap has 360º of fantastic omnidirectional stereo sound powered by Dolby. The Amazon Tap is a great price for all of the fantastic features. Alternatively, you may want to check out the Amazon Echo. 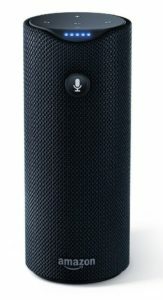 The Amazon Echo is a 9-inch Amazon Tap. The Amazon Echo is louder and is always connected to Amazon’s Alexa network, so it constantly learns. This Amazon Echo Dot is a fantastic hands-free smart speaker for home. This voice-controlled device is similar to the Amazon Tap but in miniature form. The Echo Dot uses Alexa to do everything such as control other smart devices, make phone calls, play music, read audiobooks, set alarms, adjust the lights, control garage doors and more. The Echo Dot can be connected to speakers or headphones via Bluetooth or a 3.5 mm stereo cable. Similar to the Tap, this device can play music from Amazon, Spotify and others providers. 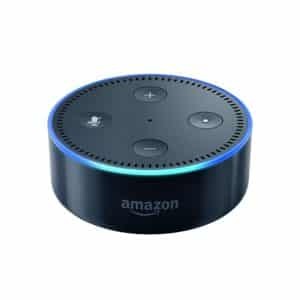 And the Echo Dot has the ability to connect with other Amazon devices and create an intercom system. The Amazon Echo Dot is really cheap compared to other smart speakers. The Google Home, voice-activated smart speaker allows you to have the power of Google Now and more. You can ask it any question and you’ll probably get the answer. 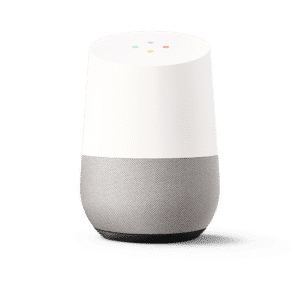 Google Home has support for multiple users, which is often an overlooked feature. This device is able to recognize your voice from others so you’ll get that personalized experience. The Home can call people in the U.S. and Canada straight out the box. Google Home can provide you with real-time answers about the weather, traffic, stocks and much more. 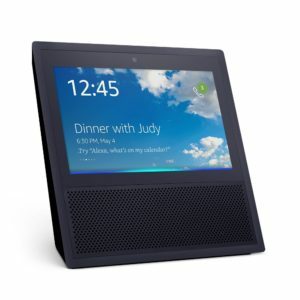 This Amazon Echo Show is the latest smart speaker from Amazon, currently with mostly positive reviews. It has all of the cool features from the Amazon Tap such using Alexa to control other smart devices, make video phone calls, play music, read audiobooks, set alarms, etc. The new screen allows you to now watch videos from a few sources like YouTube, see music lyrics, view your security camera feed, weather updates, photos and more. There will definitely be more cool features added with updates. 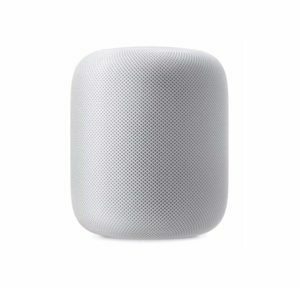 The Apple HomePod is being released this holiday season. This is Apple’s attempt at a smart speaker and it has features similar to the Amazon Tap and Google Home. Besides the rumored premium price, I am looking forward to this product. Knowing Apple’s history of waiting to enter a market, this will probably be one of the best smart speakers for home and office.